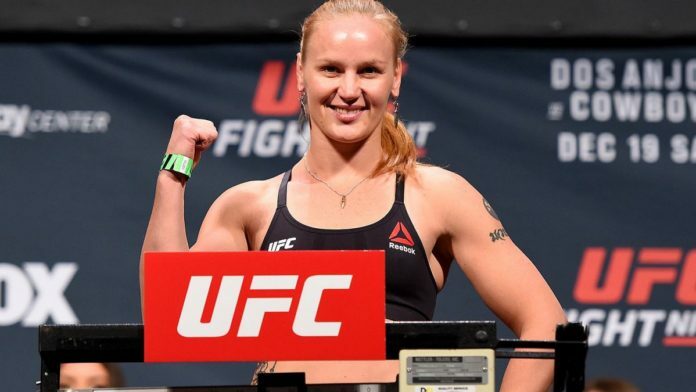 Valentina Shevchenko was ready to fight for the UFC flyweight title back in September but unfortunately she didn’t have an opponent. Former champion Nicco Montano was forced off the card after falling ill due to a severe weight cut and she was later stripped of the belt. Following a roller coaster ride through opponents and card changes, Shevchenko finally landed at UFC 231 this weekend where she faces Joanna Jedrzejczyk to crown a new 125-pound women’s champion. While they are rivals inside the cage, Shevchenko knows that Jedrzejczyk is always a professional when it comes to her preparation and she has no doubt that the former strawweight champion will be ready for weigh-ins on Friday. “One thing I’m happy is that I’m sure this fight will happen. We won’t have any issues with cutting weight or that stuff,” Shevchenko said ahead of her fight this weekend. As confident as she may be in Jedrzejczyk showing up to fight, Shevchenko has seen plenty of other odd circumstances knock other fighters off cards with just a day or two remaining until the event takes place. In fact she lived through one of those scenarios when women’s bantamweight champion Amanda Nunes was pulled from their initially scheduled rematch last year while dealing with severe sinus problem that knocked her off the card. Between that situation and what happened back in September, Shevchenko was glad to hear the UFC would have another women’s flyweight fight on the card to serve as a backup just in case disaster strikes. At UFC 231, top 10 ranked fighters Katlyn Chookagian and Jessica Eye will meet but both seem ready to jump into the main event on a moment’s notice if their name is called. When it comes to facing an opponent on extremely short notice like that, Shevchenko knows it’s not optimal for her training and preparation but she just wants to fight more than anything else. That’s why she’s ready for Jedrzejczyk but she’s also prepared for any other scenario that might happen so long as she’s able to compete on Saturday night. “I hope everything will go as we planned because you have specific training for each opponent,” Shevchenko explained. “Every opponent is different and you have to adjust your training for that person but in case something extreme happens, you don’t have any choice and I’m ready for it.